Take a look at our videos from the 'Celebration Evening' below. Due to limitations with file size, sound is not available on these online videos at the moment (I'm working on it) but remember that your DVD versions of these videos will have full sound included. Enjoy! Mr. M.
Now That's What I Call Kingswood - THE MOVIE! You've seen the trailer, now have a look at the full movie showing just some of what we got up to on our fabulous week away! 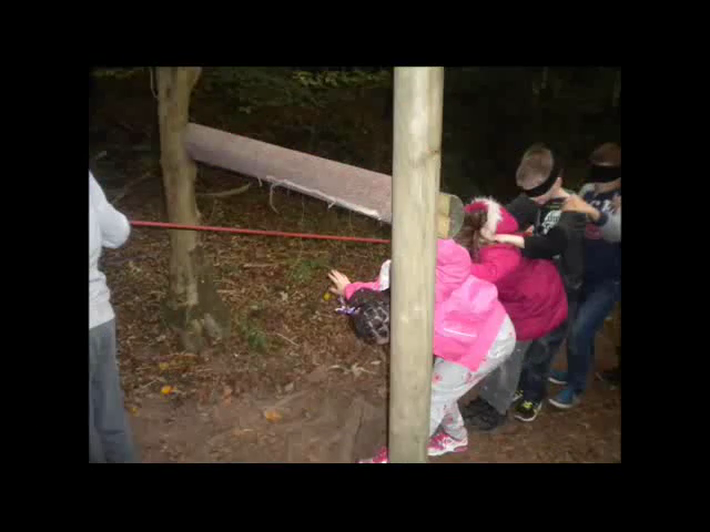 Megan captured the moment when Miss Davies took on the Leap of Faith. Massive congratulations to Miss Davies for completing this challenge! Look what happened when we let Y6 loose on the water! We loved kayaking and, even though it's a dry sport, we loved get wet in the FREEZING cold water at the end of the session!